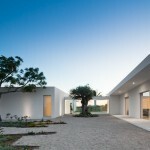 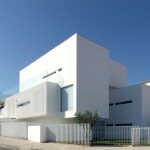 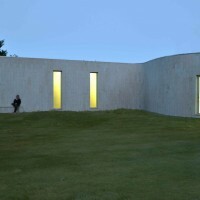 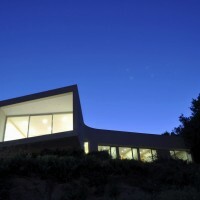 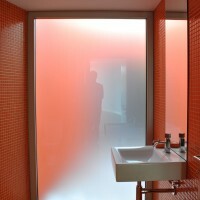 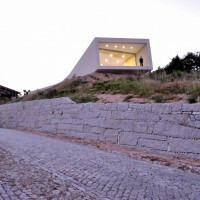 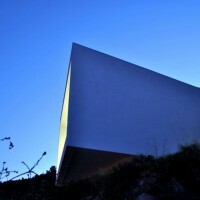 100 Planos Architecture designed the Jorge Guedes’ House in Póvoa de Varzim, Portugal. 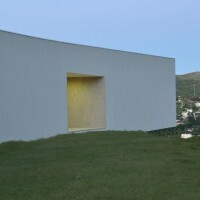 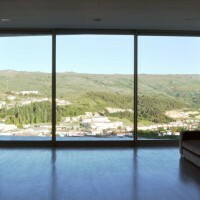 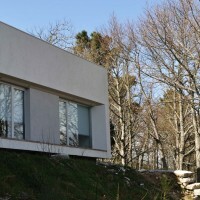 Located on top of a valley, Jorge Guedes’s house, appears as a large window that covers the landscape. 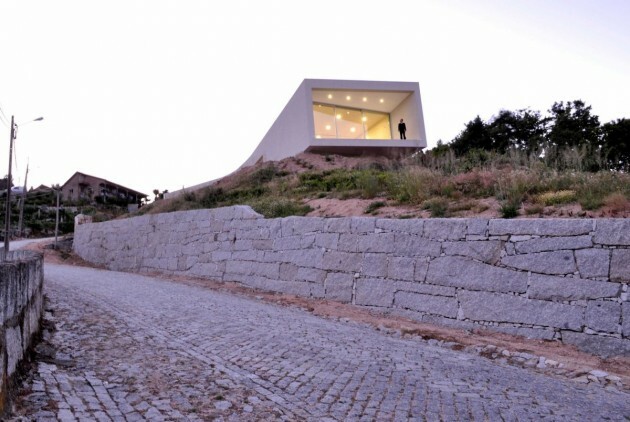 The building rises to the principles of aggregation volumetric patents in vernacular architecture of the region. 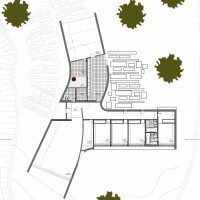 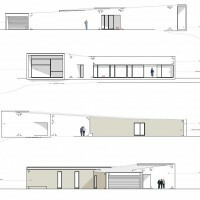 We draw an organic whole, composed of three bodies, which extends to the ground, searching each of the volumes the best orientation, solar and landscape, ending itself, the different valences of the house. 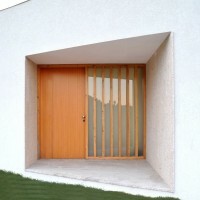 A “Y” where the point of intersection of the arms, is both the entry and distribution, separating the public of the private area’s. 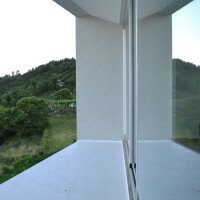 The spaces that are not facing the valley, bathroom, laundry and kitchen were fitted with a small orange patio that allows them to have direct sunlight without creating imbalances in elevation. 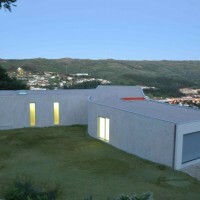 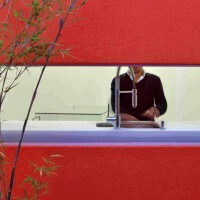 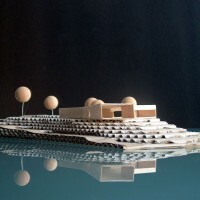 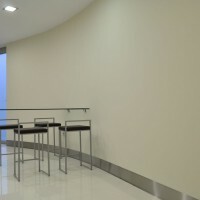 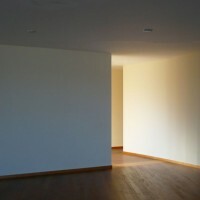 Visit the website of 100 Planos Architecture – here.